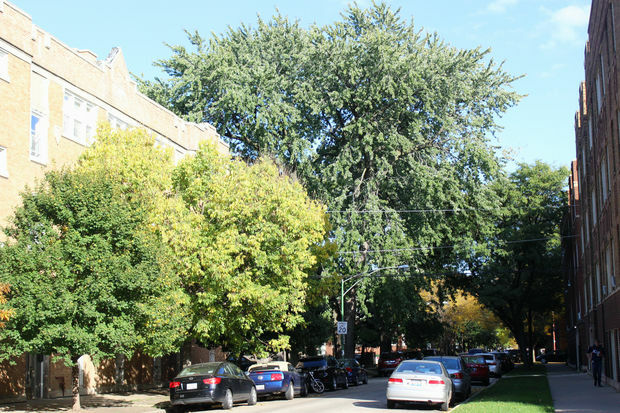 LINCOLN SQUARE — We're approaching late October, but you'd never know it from the city's trees. Nothing against green, but where are all the reds and yellows, oranges and browns? You know, fall colors. "In effect, we've stalled," said Boyce Tankersley, director of living plant documentation at the Chicago Botanic Garden. Blame the recent warm weather, he said, which has been great for watching baseball and outdoor dining but not so much for blazing fall color displays. 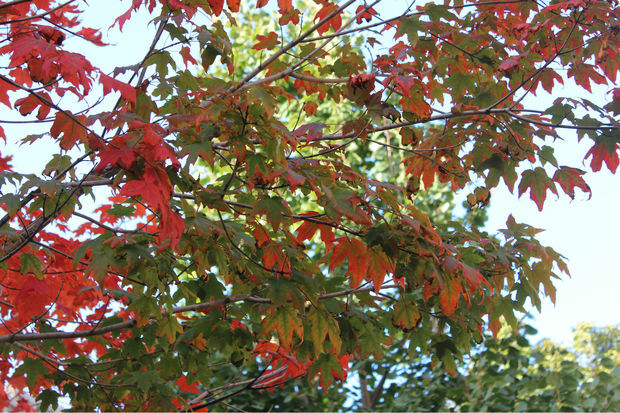 "Maples are just now starting to color — they're late," Tankersley said. "I think we're still a week to 10 days out" from peak. Honey locust and black tupelo are leading the way with maples to follow and oaks, per usual, bringing up the rear. 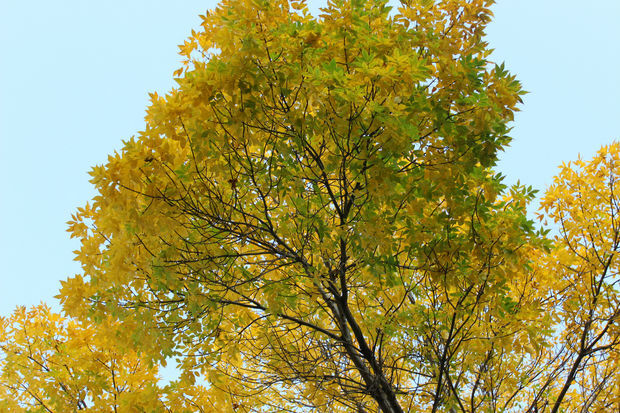 Trees begin the process of shedding their leaves as days shorten and nights grow longer, but a number of other factors affect the onset of fall color and their intensity. Ideal conditions for a brilliant autumn display include a warm and wet spring, a favorable summer (no drought) and warm sunny fall days followed by cool nights. 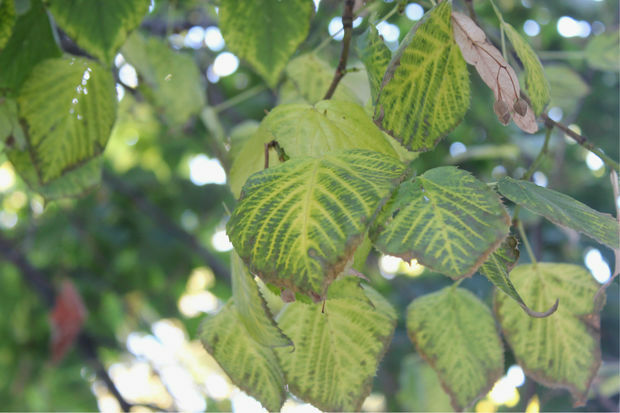 A drought in August sent some trees into early dormancy, according to Tankersley, and above normal temperatures at night have slowed the process in others. Tankersley said this week's cooler temperatures will jump start the color show, which could extend into November. 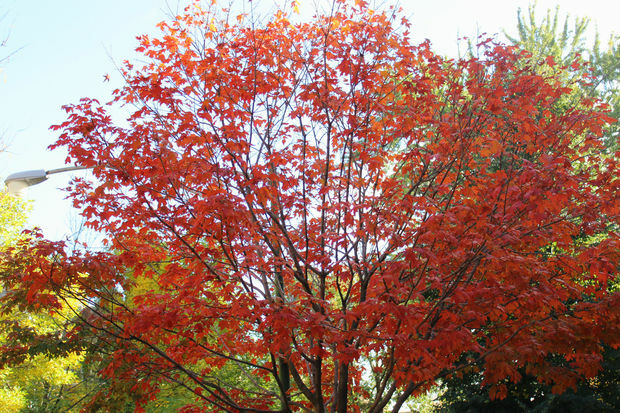 "I can't remember the year, but we've had good fall color as late as Nov. 10," he said. A sudden hard frost could ruin everything, though. "Trees go from nice fall color to the message, 'You fool, you should have dropped your leaves,'" Tankersley said. In the summer, sun triggers chlorophyll production, which gives leaves their basic green color. In fall chlorophyll production slows and then ceases. As the green fades, other pigments present in leaves are revealed. Trees drop their leaves as a survival mechanism, shedding "tissues" that can't survive the winter. Veins that carry fluids to the leaf close off as a layer of cells form at the base of each leaf, according to the U.S. Forest Service. When this separation layer is complete, the leaf is ready to fall.